My daughter is just starting to hit the age where she is able to imitate some of the things I do with my hands and being a big believer in Arts and Crafts I really wanted to start early with fun things like drawing and painting. She had her first finger painting session at about 6 months and it went really well. We both had lots of fun smearing the paint around and she didn’t even put any of it in her mouth, but paints are messy and I was looking for a quick easy project with little to no clean up. 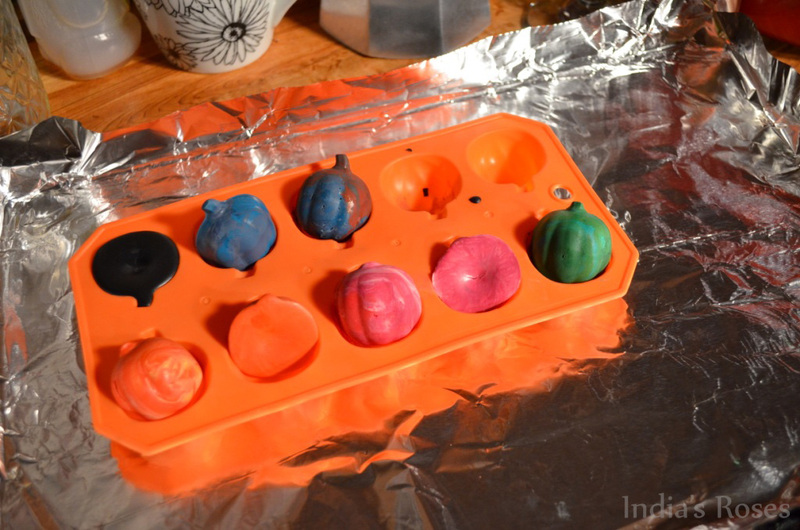 I started out with a box of crayons, but with her little fingers and lack of quardination there was no way my 8 month old baby girl was going to be able to hold a crayon, so I got creative and made these SUPER EASY Pumpkin Toddler Crayons! 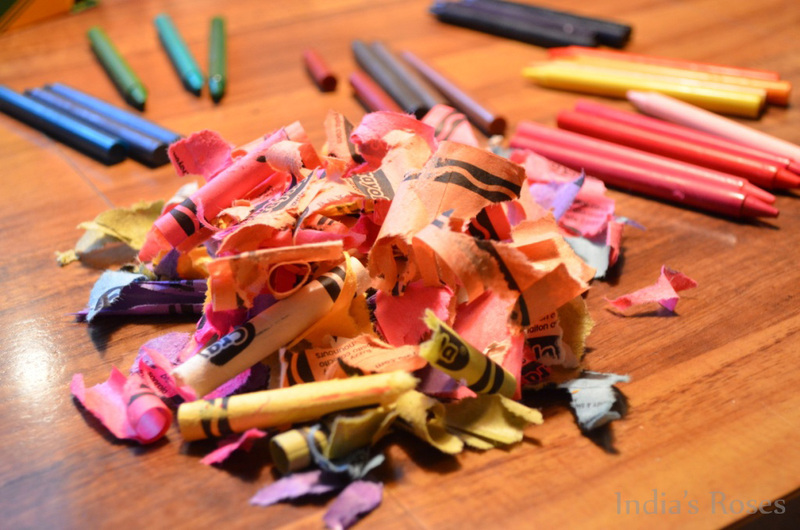 After sorting your crayons you’ll need to peel the paper off of each one. There’s no need for the papers so be a rough* and messy as necessary. 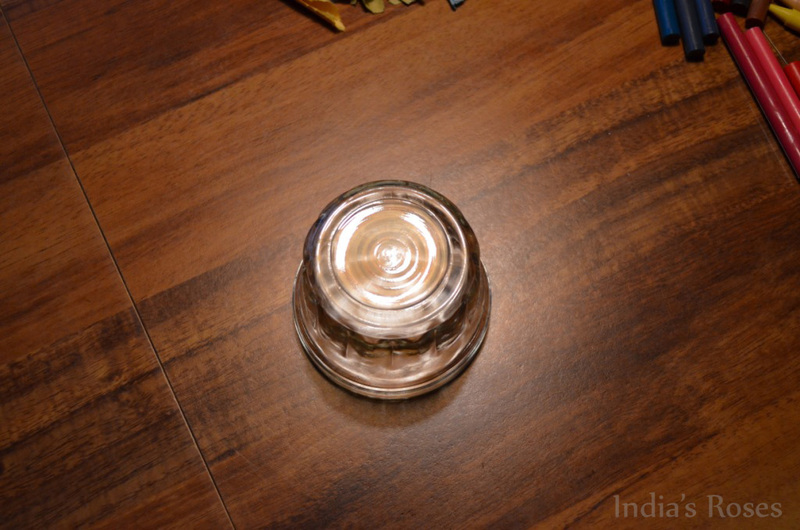 Place the jar or cup opening down on the table. 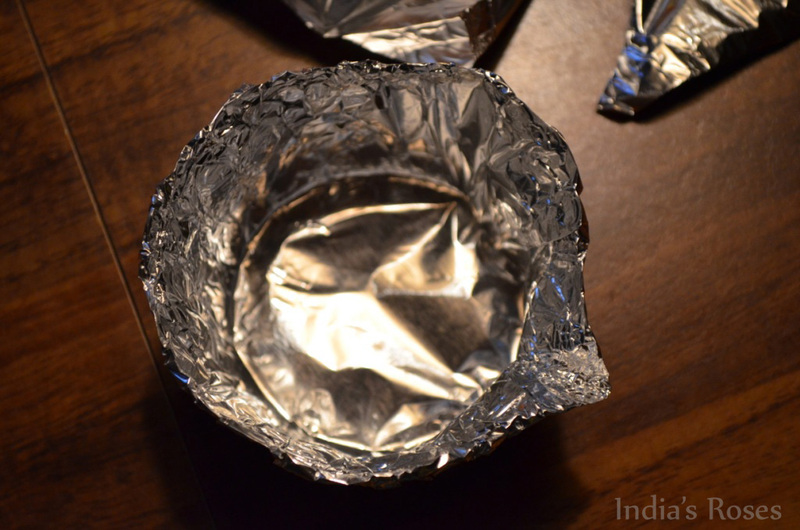 Tear off a piece of tin foil large enough to cover the bottom and sides of the jar. 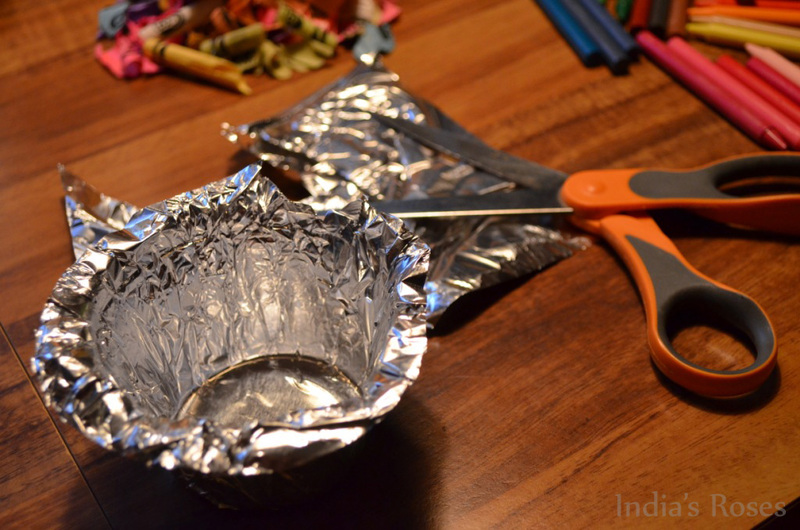 Mold the tin foil around the jar. 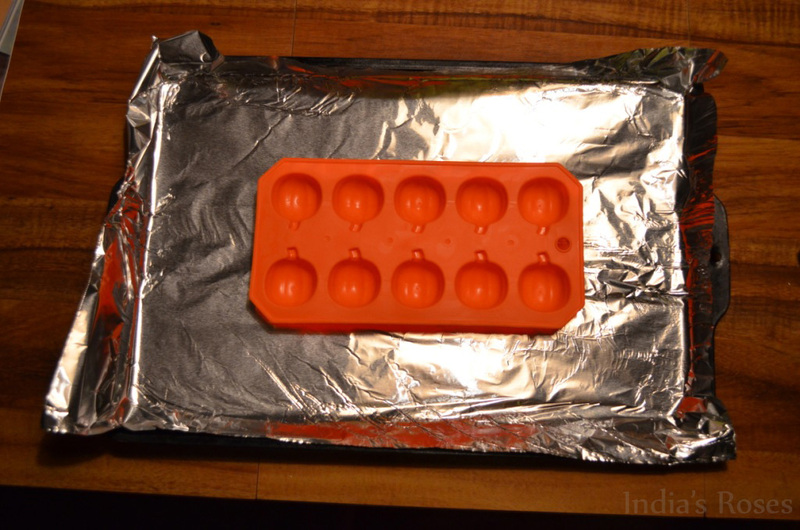 Lift the tin foil off the jar and place opening up on the table. 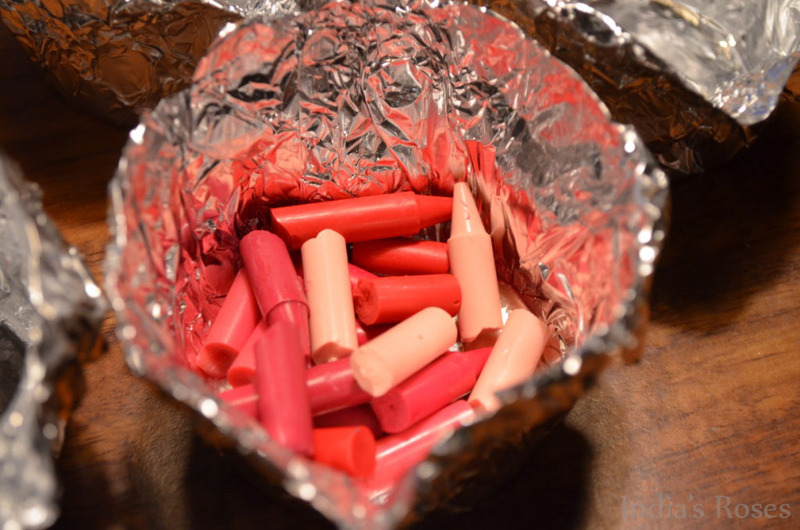 Fold the lip against the outside of your cup and use your finger to make a little pour spout on the side. 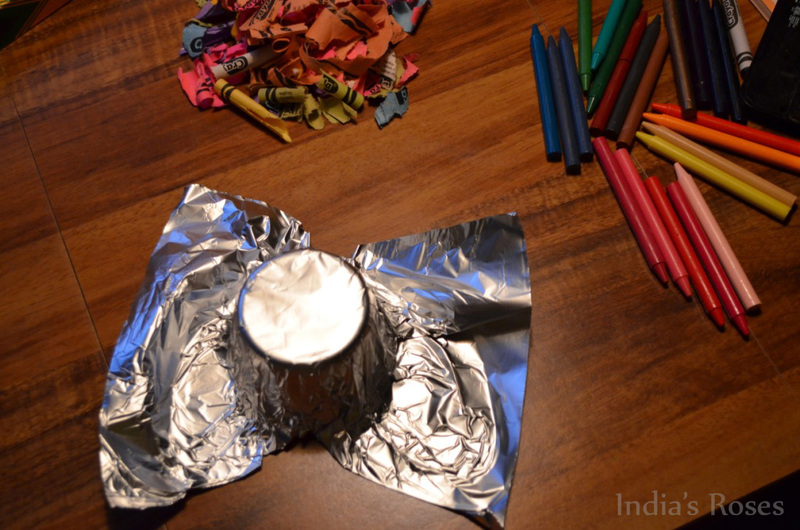 You will need to make a cup for each color grouping of crayons. 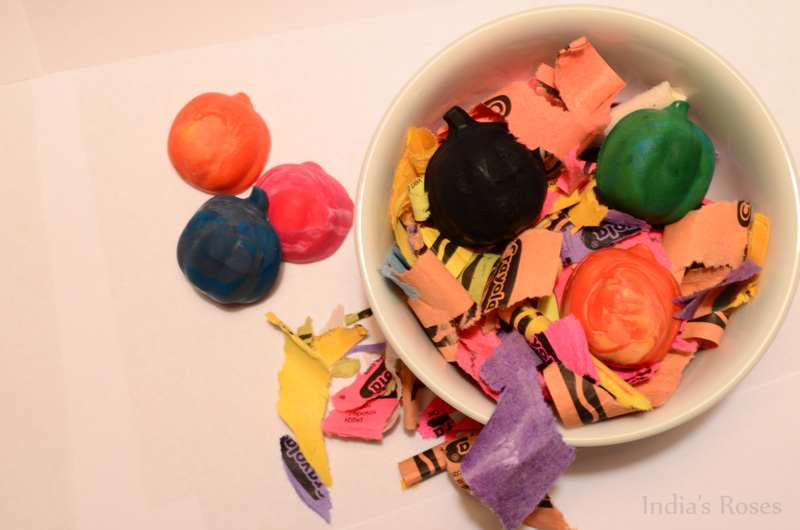 Break up the crayons in each color grouping and place them in the cup. 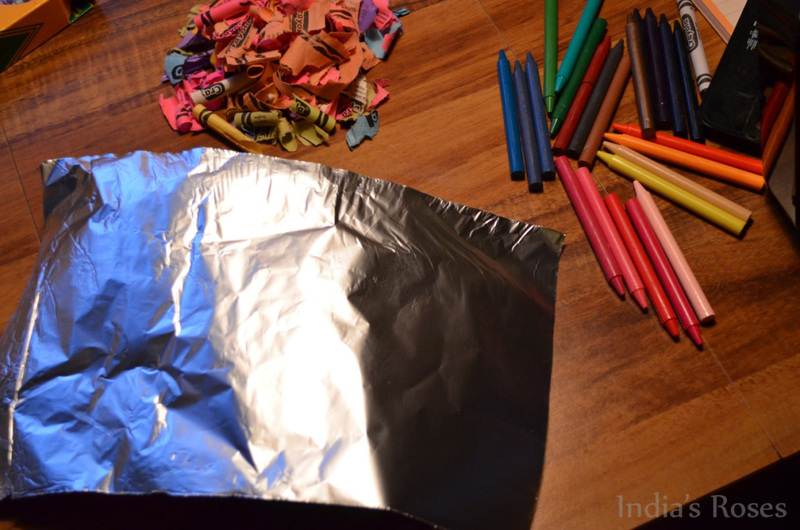 Place the crayon filled cups on a cookie sheet lined with tin foil and bake for 7 minutes. 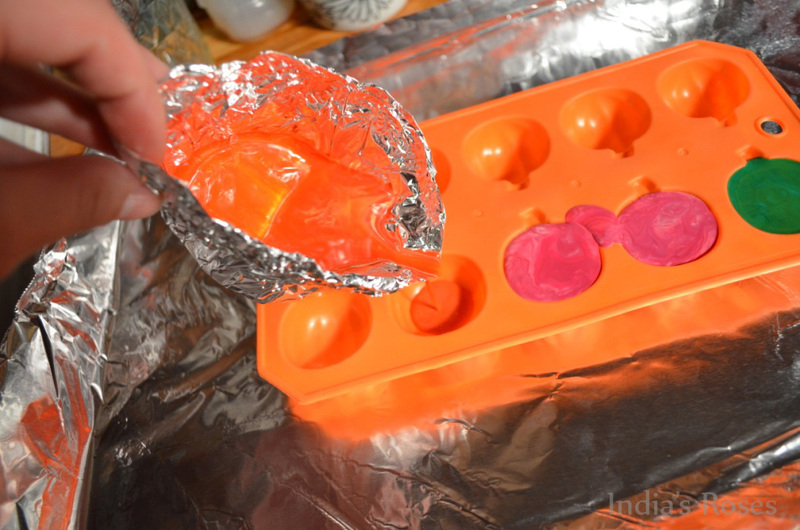 While the crayons are in the over prepare your second cookie sheet with a piece of tin foil and place your mold in the middle of it. 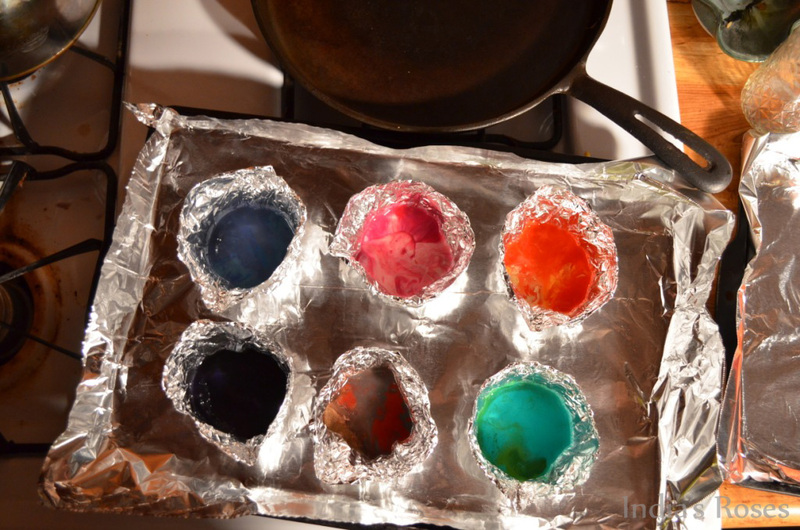 After the crayons have melted remove them from the oven. 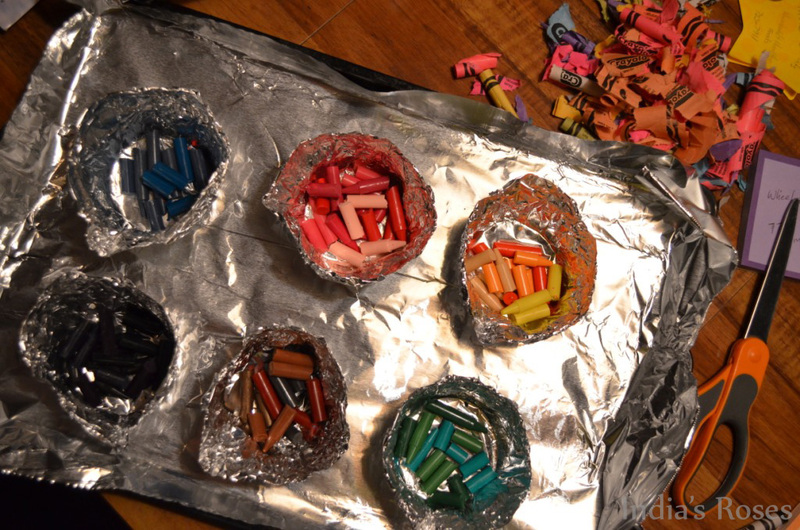 Pick up each cup by the side opposite the pour spout and slowly fill each mold with melted crayon. Now you’re all set! 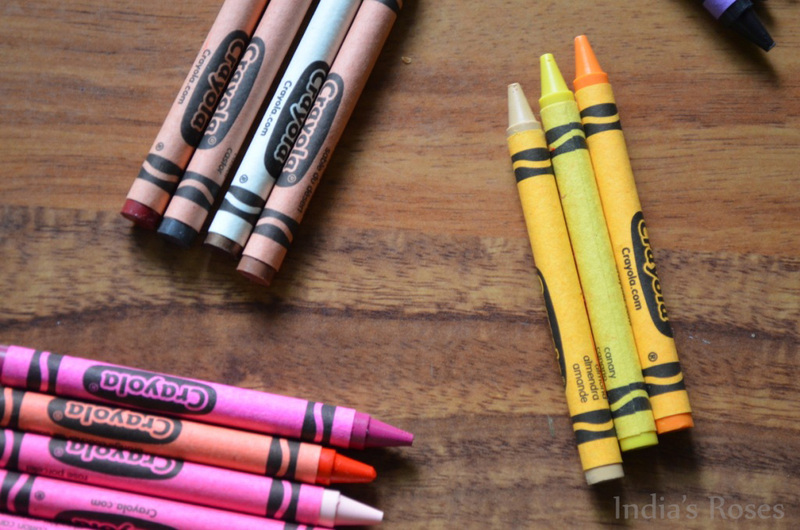 Grab your little one and start Coloring! 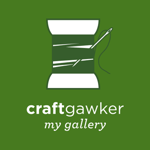 Thank you for reading and please feel free to comment! 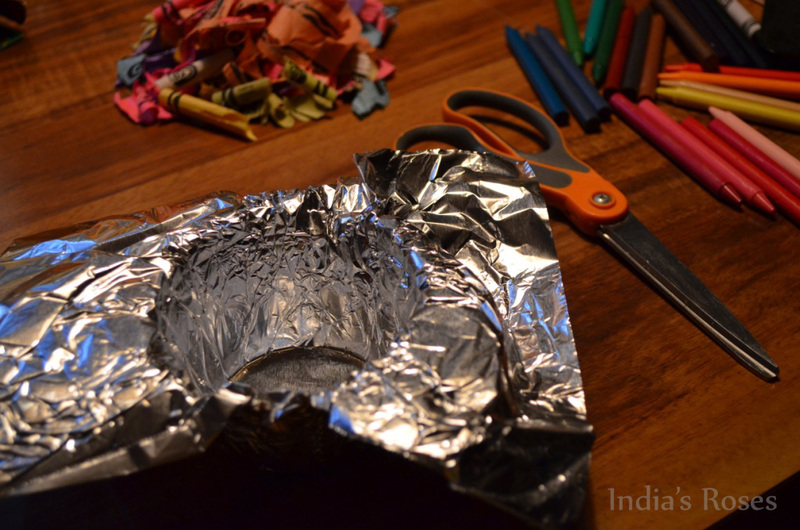 very cool idea, think of the fun you could have with christmas crayons!